Engelberg is a resort town and municipality in the canton of Obwalden in Switzerland. Besides the town of Engelberg, the municipality also includes the settlements of Grafenort, Obermatt and Schwand. 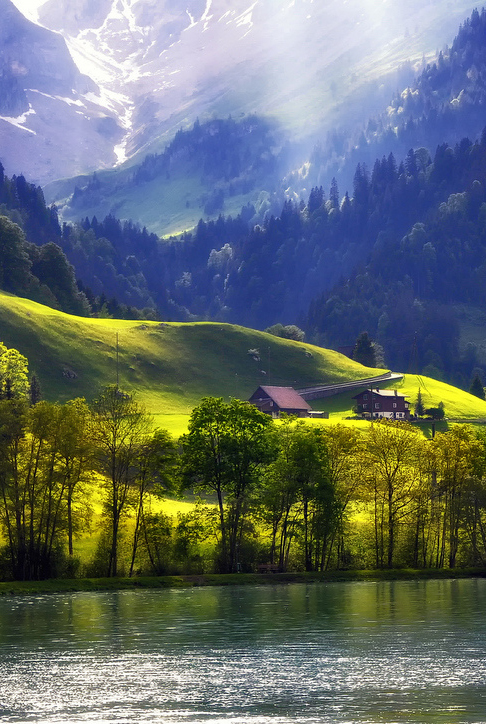 The municipality of Engelberg is an exclave of Obwalden, surrounded by the cantons of Bern, Nidwalden and Uri. Engelberg has a population (as of 31 December 2011) of 3,939. As of 2007, 21.0% of the population was made up of foreign nationals. Engelberg is the leading mountain resort (Urner Alps) in central Switzerland. In the Middle Ages, Engelberg was known for the educational accomplishments of its Benedictine monastery, the Engelberg Abbey, whose school was well-known and regarded throughout the country. From the 19th Century, Engelberg became internationally known as a resort and spa, but is today visited as much for skiing as for its clean air. With its combination of modern sports facilities and alpine location, Engelberg is a magnet for both summer and winter tourism. The closest large cities are Lucerne and Zurich.